Redmond, Gerald. "Highland Games". The Canadian Encyclopedia, 23 August 2016, Historica Canada. https://www.thecanadianencyclopedia.ca/en/article/highland-games. Accessed 26 April 2019. Highland Games originated among the Scots' Celtic ancestors and became a customary part of their life. 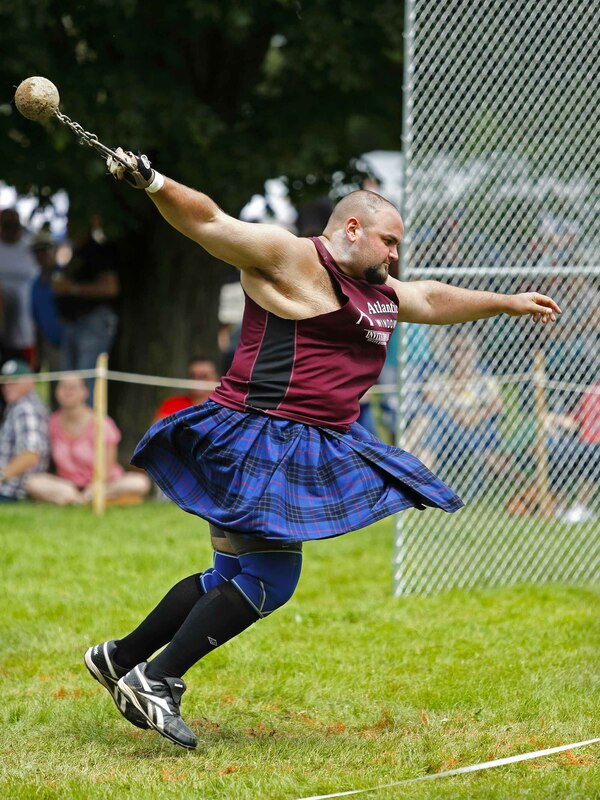 Bryan MacLean competes in the hammer throw at the New Brunswick Highland Games Festival July 28, 2013 in Fredericton. 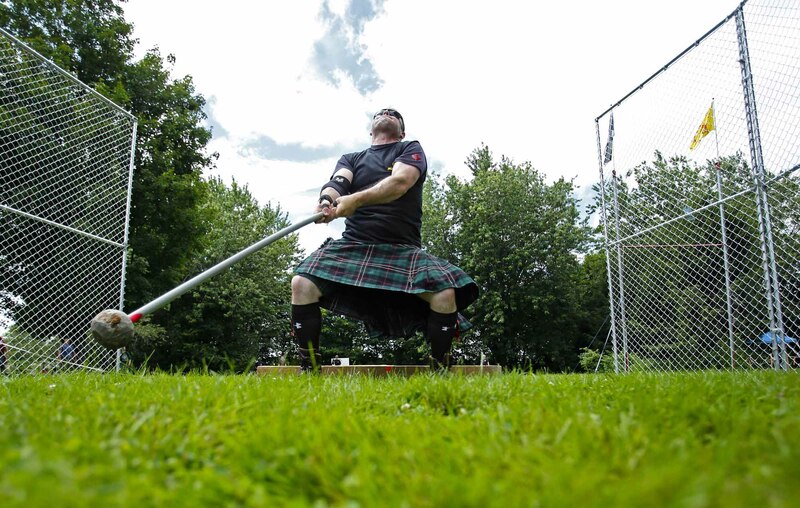 Dirk Bishop tosses the caber at the New Brunswick Highland Games Festival on July 28, 2013 in Fredericton. Al MacFarlane competes in the weight for distance toss at the New Brunswick Highland Games Festival July 28, 2013 in Fredericton. 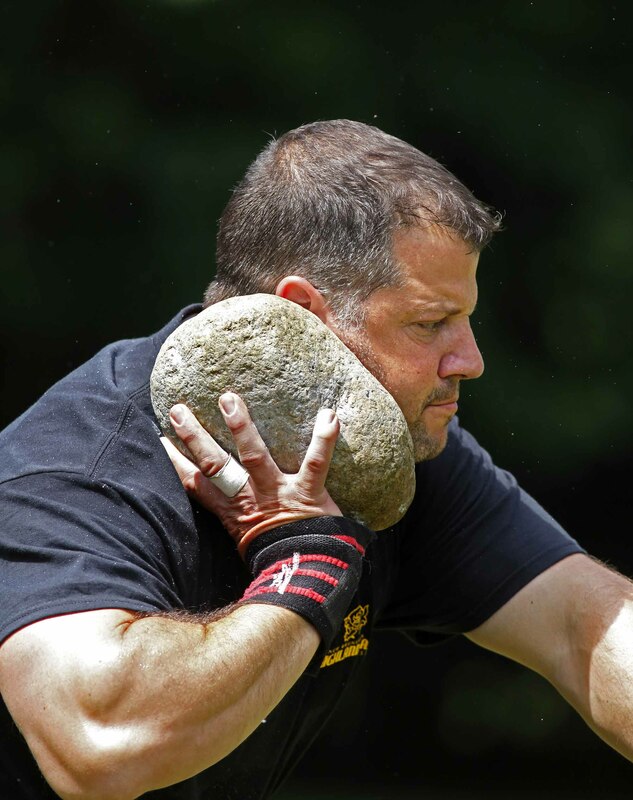 Jim Nickerson competes in the heavy stone throw at the New Brunswick Highland Games Festival July 28, 2013 in Fredericton. Highland Games originated among the Scots' Celtic ancestors and became a customary part of their life. 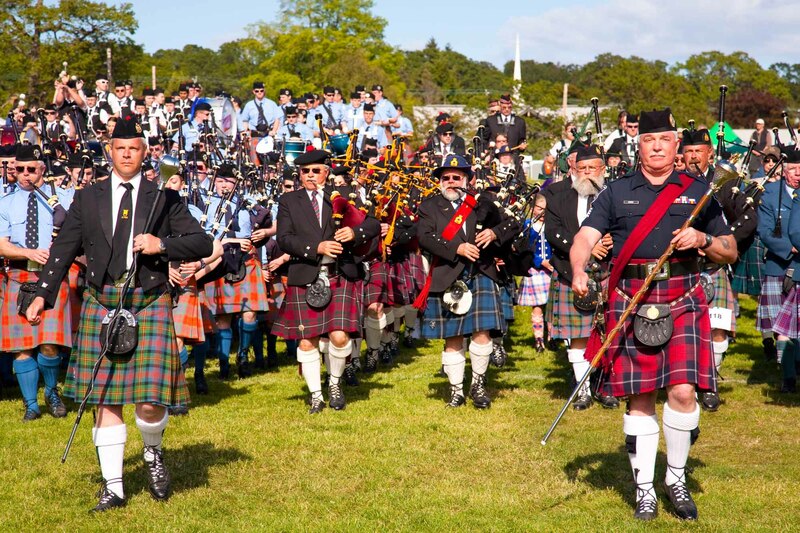 Events such as tossing the caber and putting the stone, and competitions in playing bagpipes and Highland dancing formed the core of the festivities, along with footraces, wrestling and tug-o'-war, and novelty events such as three-legged races or the Best-Dressed Highlander competition. Emigration from Scotland dispersed the Highland Games and brought them to North America (where they are often referred to as the Caledonian Games). Given the influence of SCOTS in Canadian history, it is not surprising that their Highland Games have flourished. A Highland Society was organized in Glengarry, Ont, in 1819 but lapsed after "many successful gatherings." More permanent games were established by the Caledonian Club of PEI in 1838. 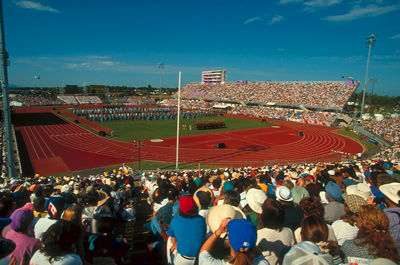 Similar games followed in Lancaster, Toronto, Cape Breton, Montréal and Zorra, and by Confederation in Halifax, Antigonish, Chatham, Ottawa and Vancouver. Within a few years, they were established in many Ontario townships and in Fredericton, Québec City and Victoria. In 1880, the St Andrew's Society of Winnipeg held the first of its many successful Dominion Day Games at Dufferin Park. The Marquess of LORNE patronized these games and others, as did other governors general and many famous Scottish political figures, among them George BROWN and Sir John A. MACDONALD. Former Prime Minister John DIEFENBAKER carried on the tradition when he visited the 1975 Glengarry Games, appropriately dressed in a kilt. 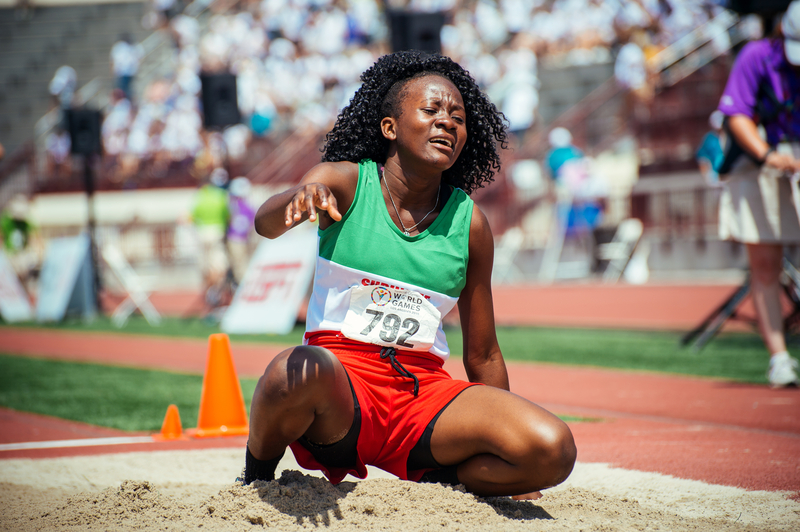 It has become customary to hold provincial track and field championships in conjunction with the Highland Games. The festival has thus undoubtedly helped to produce some of Canada's greatest athletes - eg, Duncan Bowie, George GRAY and Walter KNOX - who have won international renown. 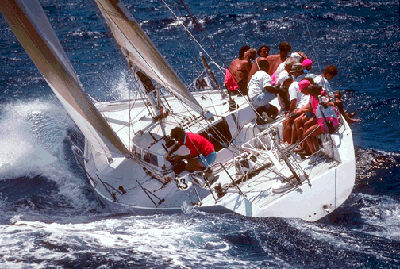 More significantly, perhaps, it has thoroughly permeated Canadian culture (for example, the novels of Ralph Connor - C.W. GORDON), and Canada is now said to have more bagpipes and Highland dancers than even Scotland itself. 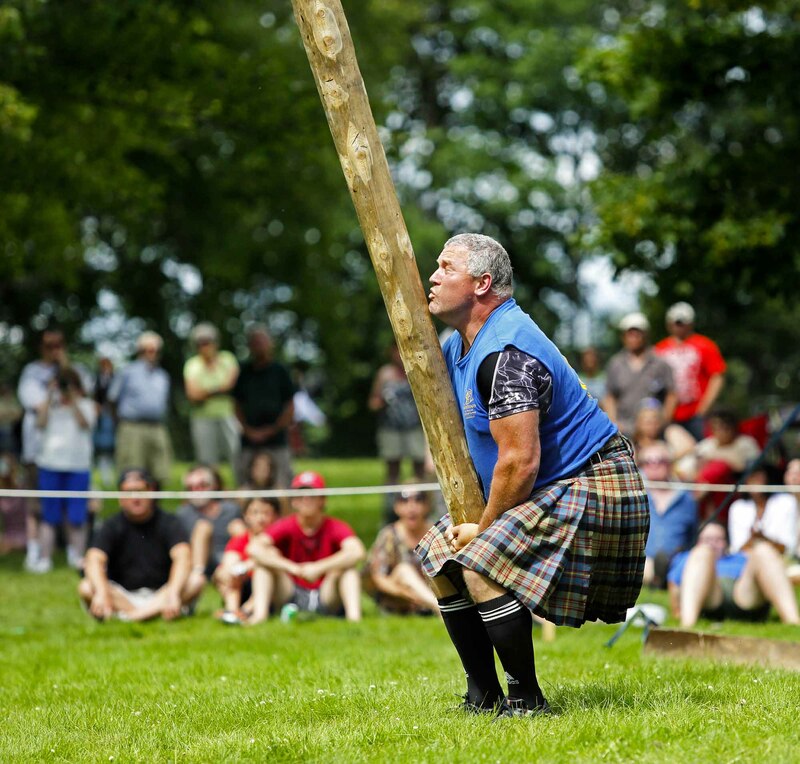 Canadian Highland Games remain a vivid reflection of the Scottish tradition in Canadian life.